Group lessons are for everyone from beginners through to intermediate surfers. 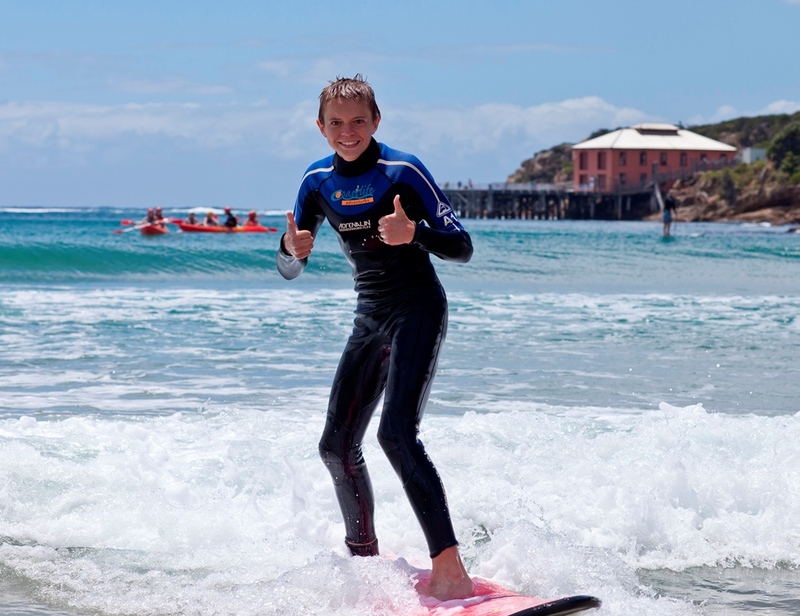 Coastlife is renowned for its innovative teaching technique and high quality surfing equipment. The beaches at Tathra and Pambula are similiar in aspect and ideal for surfing because of the gentle sand gradient and protective headland at the southern end of the bay. We will automatically confirm your booking once the lesson has the minimum 4 participants enrolled. Minimum age: 7 yrs. Children who are 7 or 8 years of age must be assisted by an adult in the water. Please arrive at your lesson 10 to 15 minutes early so you can fit your wetsuit. *Public Holiday surcharge already applied.